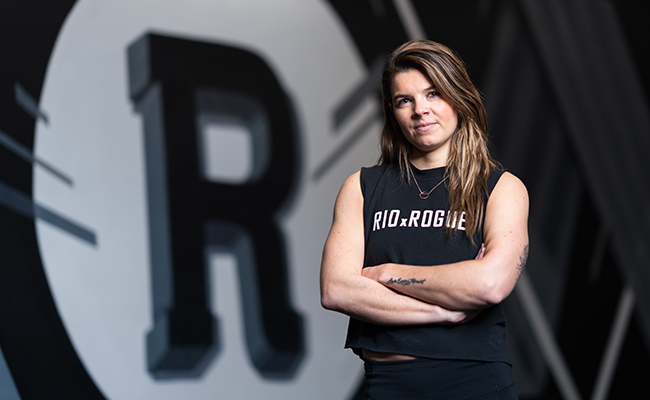 “We want to revolutionize the way you move,” says Connie McInnes, the owner of Rio & Rogue, two fitness studios in the north end that offer a wide variety of classes—from yoga and pilates at Rio to kickboxing and kettlebell at Rogue. In March, McInnes will open the doors to her third studio, Rebel, at the corner of Ochterloney and Wentworth in downtown Dartmouth. Rebel will act as a middle ground between Rio and Rogue where people can expect to find fast-paced yoga flows alongside strength-focused pilates and boxing classes. With the opening of Rebel, McInnes is also rebranding her trio of gyms as R Studios. She hopes the name change will emphasize that, although there are three locations that target various fitness regimes, they are all part of one community. Since the beginning, McInnes says community has been the core value of R Studios. A former competitive gymnast, McInnes was involved in team-based sports and athletics as a child and teenager. When she moved to Toronto as an adult, she began attending fitness classes because they felt familiar, comforting, and, more importantly, provided her with a sense of belonging. She decided to start a multi-dimensional studio where people could access a wide range of fitness routines. The first location, Rio, opened in 2014 in a small loft studio on Charles Street, and was followed by Rogue in 2017, which opened in a repurposed industrial warehouse on Lady Hammond Road. McInnes says that, when it comes to appearances, R Studios is a collection of three fitness studios, but the bricks and mortar are founded on family, community and bringing people together. In order to provide a personalized and individualized experience, classes are purposefully capped at 16 to 24 at Rogue and 9 to 16 at Rio. Plus, each Friday night at Rogue, a keg is on tap to encourage people to stick around and socialize after they sweat. McInnes recognizes that some fitness studios promote a negative gym culture that focuses on weight-loss and results-based training. These atmospheres can be demotivating, lonely and just plain unhealthy. By contrast, R Studios maintains that it isn’t about how you look, it’s about how you feel. It isn’t necessary to leave a studio feeling burnt out, exhausted and pouring in sweat. 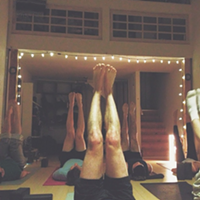 A low impact class can be just as grounding and effective. One of Halifax’s finest track and field athletes has her sights set on the 2016 Paralympics in Rio De Janeiro—but first, her busiest competition year yet.